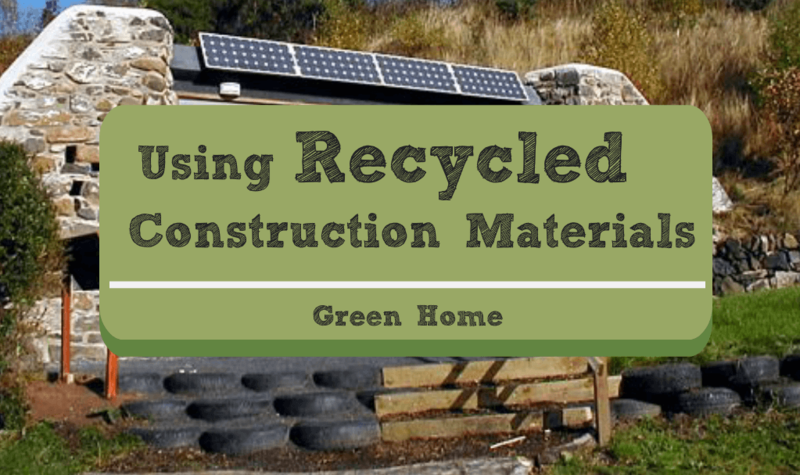 / Can You Build Your Home with Recycled Materials? Using recycled construction materials is an excellent option if you are striving to live green and sustainable. With this environmental movement there are many “green” options when building or maintaining a house now, and technology continues to evolve. A major contribution anyone can make it to strive to re-use materials that have already been manufactured. Let’s face it, we Americans drive a lot. Once those tires wear out they become a major problem for disposal. Just in California alone 41 million waste tires are generated annual. Old, used tires are often dumped at the side of the road rather than becoming recycled construction materials in a home or other use. Beside tires on cars, trucks and SUVs, there are the tires on motorcycles, bicycles, airplanes, heavy machinery, construction equipment and other vehicles that skyrockets the problem of what to do with old tires. Landfill Disposal: Due to their large volume, their durability and their chemical components tires pose a big problem when disposed of in a landfill. 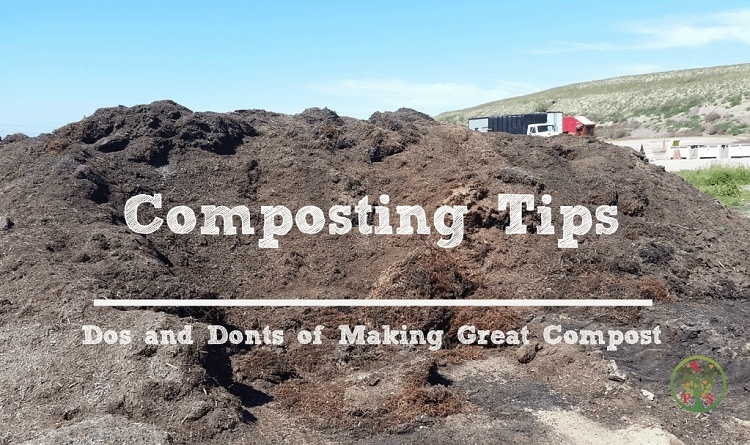 In a landfill tires can trap methane gases, causing them to bubble to the surface, which can damage the landfill liner and cause the leaching of compounds into the groundwater. 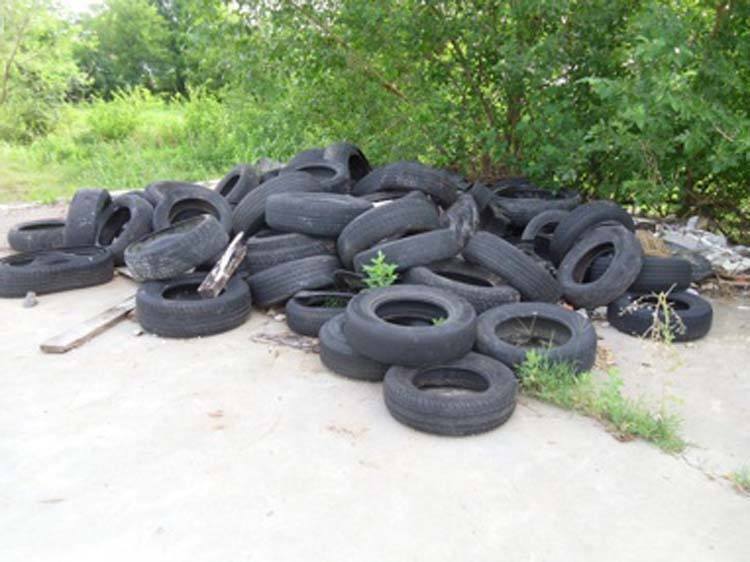 Dumping: We’ve all seen it – abandoned and dumped tires on the side of the road. It’s a real eyesore. In addition to the visual blight, water can collect in the tire making it a major breeding grounds for disease carrying mosquitoes such as West Nile Virus. How would you like recycle between 250 and 1000 tires on your roof? If you have that image of whole tires sitting on a roof to keep the metal roof in place, think again. That, technically, is using recycled construction materials but might not be as aesthetically pleasing for the neighbors. Visualize beautiful looking slate roofing, but made with recycled tires. The Canadian company Euroshield is producing rubber tire roof shingles from recycled tires. This building material is made from 95% recycled materials and they mimic the look of traditional slate shingles. The recycling and re-using of this material makes it green and keeps the tires out of the landfill, and lasts a lot longer than a traditional roof. Are regionally sourced materials (manufacturing). 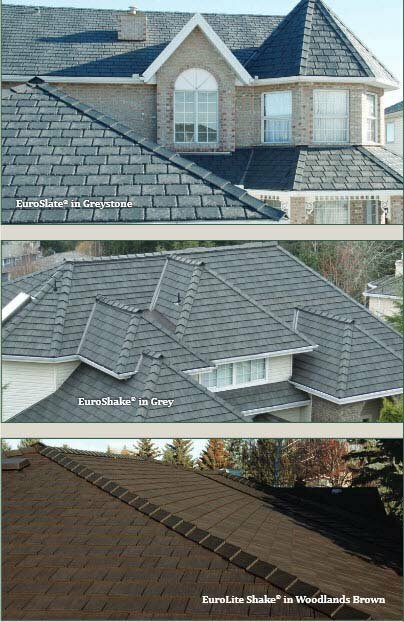 The rubber roof shingles will never will crack, rot or warp. They are sound deadening and insulating. They are fire resistant – Class C Fire Rated. The shingles are produced from used vehicle tires by removing the tire wall and cutting the tread section into large pieces. The shingle-like texture are created by heading and molding it into shape. A plastic tab on each shingle panel makes it easy to attach the pieces to the roof. The panel is attached using six (6 ) 1 ¾” galvanized nails or galvanized staples 127mm (.5 in) above the tongue of the tile. This will ensure that there are 12 attachment points in panel, making it extra durable in high wind. It will withstand winds up to 105 mph. 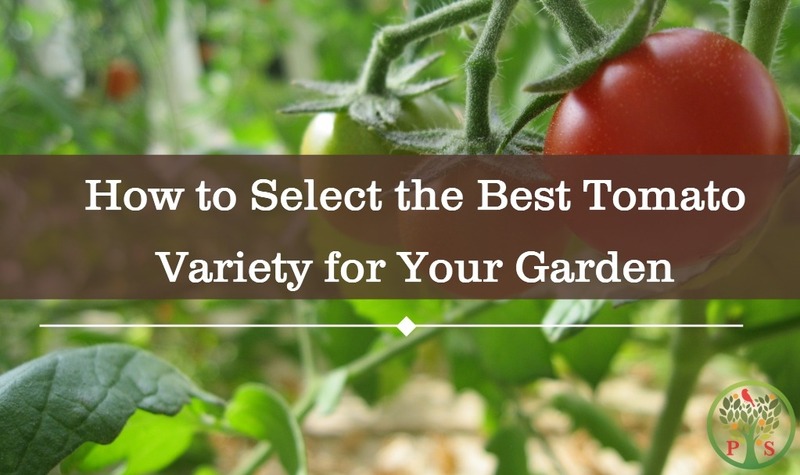 If you are in an area that gets a lot of hail. 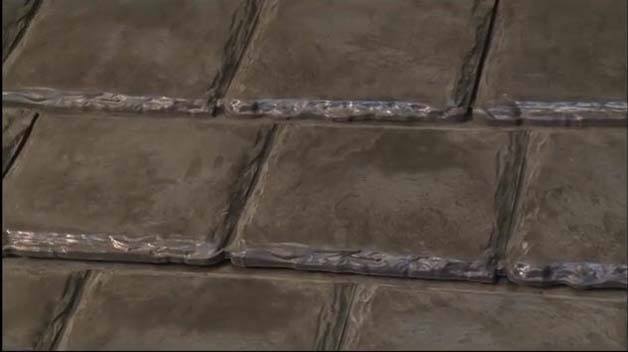 This product provides a warranty coverage is provided for hail impact, up to 1″ in diameter. The tiles come in three different shapes and styles: chiselled slate, concrete-looking tiles or a raw wood look, and come in brown, grey and black. So next time you are considering replacing that roof and want to do with recycled and environmentally friendly materials consider using this rubber tire roof shingles. 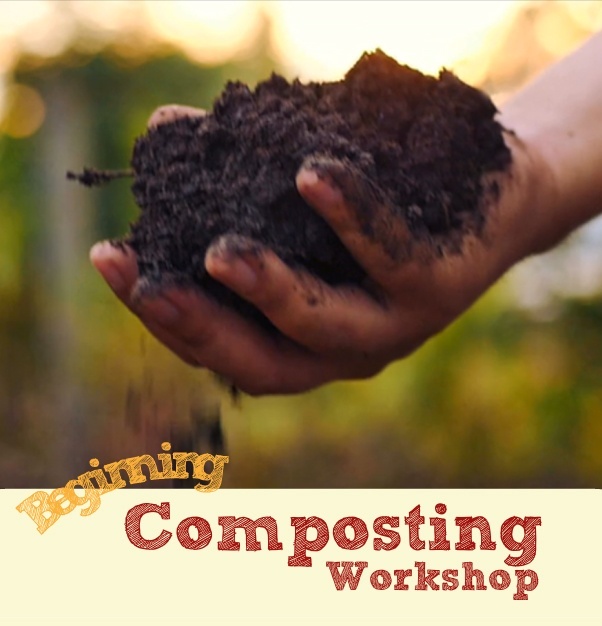 Want to Take Green Living to the Next Level? Is a rubber tire roof not enough? 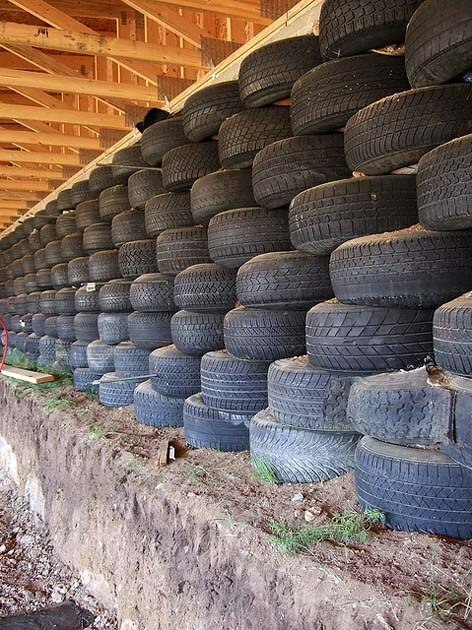 Consider this building style that uses tires in the walls. So if you want to go to greater measures on having an eco-friendly home, the Earthships style home uses recycled tires and other recycled materials in the walls and are one of the ultimate ecofriendly homes. The walls are primarily constructed from discarded automobile tires rammed with earth and stacked up like bricks. Thermal, structural, environmental and availability aspects are unique to Earthships. Tires are used in bearing and retaining walls, as well as a foundation. The interior surface of the tires is then plastered with adobe or cement so the tires don’t show. Empty aluminum cans can also be used and mortared into lightweight, curvable walls. 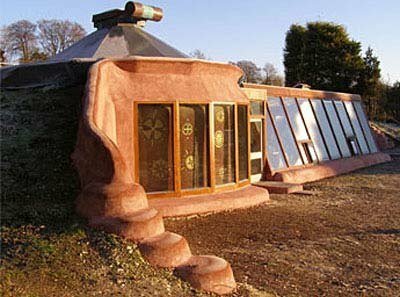 Earthships often employ many ecological concepts, such as water catchment from the roof, reuse of greywater, composting toilets, indoor gardening, etc. Michael Reynolds, the founder of Earthships publishes several manuals for the do-it-yourselfer and also offers internships both at the home location in Taos, New Mexico and all over the world. This construction methodology has been used to help hurricane victims in Haiti and offers a low-cost building material alternative in developing countries. The basic earthship design incorporates substantially, water re-use while utilizing passive solar architecture. Want to reduce your energy use when it comes to hot water? Check out this tankless hotwater heater article. Want more on sustainable living? We’ve got more sustainable living articles here.